Late last year Kristi opened up sign ups for round 3 of the Schnitzel and Boo mini quilt swap over on Instagram. Of course I signed up and this time I also volunteered to be a swap mama too. For those not in the know swap mamas help coordinate the swap by making sure their group of swap partners all give and receive a mini quilt, if for any reason somebody has to pull out then the they arrange for an angel to send to the partner instead. Swap mamas also try their best to help their swap group with any queries they may have. This was the first time I’ve been a swap mama and I’m so glad I did it, I really enjoyed helping out both Kristi and my group, their were well over 800 participants in this round so you can imagine the logistical nightmare that could be! My partner had said she liked bright colours so I went with it and made a bear paw block mini using some nice, bright, solids. I backed it with an Ikea print I had left from another quilt (which I’ve still not finished!) and added a hand written label. I also included a few little extras, including some of my favourite chocolate bars. I was a very lucky girl, I received this super package from my partner who turned out to be one of my sewing friends Pippa! I was so excited that my partner was someone I knew and she’d managed to keep it a secret! She completely nailed it! Get it?! When Pippa was posting progress photos on IG I had fallen in love with it so you can imagine how pleased I was when I opened my parcel! She also included some awesome extras for me, all wrapped in cute paper. The little house is adorable and how handy are those flight safe scissors?! I’ve got to be honest that chocolate did not last more than 2 minutes!! All in all it was a pretty great round, I’m just hoping there will be a round 4 soon. I know this isn’t a crafty post but I’d really appreciate your time for a few minutes, it’s for a worthy cause I promise. A few months ago I was offered the opportunity to support a well deserving charity and knock an item off my bucklist, we’ve all got one I’m sure even if it’s just a “one day…” thought at the back of your mind. A small group of slightly crazy people, including me, will be (hopefully) completing the 3 Peak Challenge to raise awareness and money for CASPA. CASPA support children, young people and families affected by Autism. They’re based in South London and offer some great clubs and services, you can find out more here. The 3 Peak Challenge is something I’ve wanted to attempt for a while but haven’t felt fit enough, until now (she hopes). The challenge is to climb 3 mountains in the United Kingdom, that’s Ben Nevis, Scotland (1344m), Scafell Pike, England (978m) and Snowdon, Wales (1085m) all in 24 hours. In total it works out to about 14 hours of hiking. The only rest we’ll get will be in the bus on the drive between mountains. Now here comes the scrounging, I’d really appreciate your support (and cold hard cash) to help motivate my arse up those three lumps of rock! Even £1 would help make a difference, so please take a few mins to go to my Justgiving page here and donate, thank you!! Right I best start training! This is the last make from 2014 I have to share with you and I think it may be my favourite. I think I’ve probably told with you before my fear of sleeves. As we all know a winter coat really needs sleeves so this make was another chance for me to face my fear. I’m pleased to say I am gradually getting over my sewing fears, as with everything practice makes perfect! I decided a while a go (before they flooded the shops over autumn/winter I’d like to add!) that I wanted to make a nice big, warm blanket coat for winter. Something snuggly that I could wrap myself up in on the school run, as that seems to be the extent of my social calendar lately. I spent a long time trawling patterns and ended up picking Vogue V8930 MISSES’ JACKET, it’s a very simple pattern but had exactly the look I was hoping for. Once I found my pattern it was a quick trip to Goldhawk road to find the perfect fabric. I dragged my mum along to help me decide and after looking at some amazing wools I ended up with some kind of man made fibre blend, I’ve got no idea what it was but it washes a dream, was super stable to work with and best of all it was only £7 a metre rather than the £25 plus prices on the beautiful wools we were looking at. I am completely happy paying for quality fabric but as I had never made a coat before I didn’t want to waste lovely fabric on what may have been a disaster. Thankfully my bargain purple coat turned out perfectly. Before I started cutting out the pattern I had planned on not lining the coat, but as I read through the pattern I preferred the seam finish on the lined version. I did a bit of pattern juggling and managed to cut the extra collar pieces I needed from my purple fabric. On the same shopping trip I had picked up some more African wax print to make another Mortmain dress (I might cut that out this weekend actually) which complemented the purple, so I used it for the back and sleeve lining, it was like it was meant to be! I was a little nervous about how my machine would handle the thick layers of fabric, especially now I was adding lining, normally it gets the right hump about thick layers, but to my surprise the fabric was a dream to sew. The coat came together so quickly and the sleeves went in first time, I don’t actually remember having to really use my seam ripper which is really unusual. Making this coat made me realise that I’m becoming much more confident about sewing, especially sewing from patterns. I felt comfortable not sticking to a particular pattern version, I used the shorter length, I added the lining but mixed fabric types and used the inset pockets. It’s the little tweaks you make to patterns that really make your clothes your own and different from ready to wear. This coat has had a lot of wear over the past few months in rain and wind and it has kept me both warm and dry. The fact that the huge collar doubles up as a hood has helped with that. I love this coat. I feel like I’m wearing my personality when I wear this, its bright and fun, while still being stylish. I have had lots of compliments about it when I’ve been out, people even asked where I bought it! They couldn’t believe I made it! That made me feel a little proud of myself. Best of all they couldn’t believe how much I made it for, in total it came in at about £35 and that’s including the thread!! The Hubby was very happy when I told him that Ha! I’ve been lucky enough to guest post for the lovely Justine and Lisa at Simply Solids. My Patchwork Heart Bunting tutorial is available now so why don’t you head on over there and check it out. I’d love to hear what you think and if you give it a go I’d love to see photos! Today I dashed outside before I missed the two minutes of sunshine and managed to photograph a few of my makes. It was bloody freezing out there so I had to work quick! I thought I’d show you my wrap dress I made in November (I think?). It’s taken me what feels like forever to finally get round to photographing this dress, between the crazy run up to Christmas and the bad weather I really struggled. I love wrap dresses, I think they look beautiful, they can be so flattering, but only if you get the fit right. Now this is where I have a problem, I’ve come to realise that I’m quite short from shoulder to chest and have a large bust, because of this I find it hard to buy a wrap dress. I had a thought when shopping one day “I can make that!” So that’s what I did. I chose the Sew Over It Ultimate Wrap Dress as a few sewing friends had made and recommended it. I’ve got to be honest and say I’m not sure I would buy a pattern from here again. The pattern shows two sleeve and skirt length options but these are not marked on the pattern, the instructions are straight forward but I would say on the minimalist side, it doesn’t give you any fabric recommendation other than “Jersey” so I was a little bit nervous as to whether the fabric I chose would be too stretchy. I think the pattern is better suited to people who have attended the associated class (run at the Sew Over It shops) or have more experience in dress making. The dress did come together quite quickly but I did struggle with the fit. The pattern explained that there was not much ease and would be quite fitted so I was half expecting the Size 12 that I was making not to fit. Boy was I wrong! While I was making the dress I kept trying it on ( as you do) to check it was fitting ok and it all seemed fine. Once the dress was finished and I tried it on I realised it wasn’t wearable. I had excess fabric across the chest so even if I over wrapped the dress still gaped. I was so disappointed. After a pep talk from my mum I decided to take the dress along to our next sewing club meet up and see what the gang thought before taking my trusty seam ripper to it. I’m so glad I did as Rachel had the great idea of gathering at the shoulders to fix the problem. Amazing! It took me all of 2 minutes to do and the dress was saved. As you can see the dress is definitely wearable although I do still have to over wrap it a little and I have to wear a vest underneath too. I am pleased with the length of the dress but half wish I had made the sleeves 3 quarter length, I still might. I guess overall this dress turned out ok but I’m not really sure how much I will wear it. It was a good lesson for me though. I now know just how much I hate facings, they really get on my nerves, I much prefer binding to finish. I also learnt that as longer as I fit the standard pattern measurements I am fine but still have A LOT to learn about fitting. I guess it will come, slowly, with experience, well I hope so anyway. Now I know I said I wouldn’t buy another Sew Over It pattern but I am glad I bought this one. 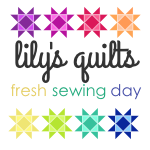 It has shown me a little more about my sewing style and what pattern brands fit me best. We have to realise that we are all different and like ready to wear clothes some patterns suit some body types better than others. Can you believe it, 2015. I don’t know about you but I feel like this year has just wizzed by. It has been a busy year for us as a family since leaving Kent and moving to our new home in Hampshire but I can honestly say it was one of the best decisions we have made. We’ve really settled in and both Sean and I can’t believe how well the monsters have adjusted, making lots of new friends and enjoying our new surroundings. January 2014 I set my self a few challenges on my little blog, hoping that seeing it in black on white would keep me motivated and I’m quite proud of how much I managed to achieve. – Close my Etsy shop. This was definitely a good idea. It gave me so much more free time to spend with my family and friends as well as getting plenty of selfish sewing done (which I love). – Teach Monster no1 to sew. We didn’t manage to finish his pin wheel cushion, as he lost interest, but he did make a sea snake for a school project which was brilliant. – Work through my crafty to do list. Well this is quite obviously an on going challenge. I’m constantly adding new things to my list but I have managed to cross quite a few makes off along the way. – Make my own clothes. Last August I had a bit of a reality check and realised that I needed to lose some weight and get fit again. I started following a Paleo lifestyle and trying to exercise more, which is probably one of the best things I’ve done in a long time. I’ve managed to lose 2 1/2 stone and dropped 2 dress sizes, I’ve got so much more energy and feel better in myself. Anyway, now that I’m not a blimp and actually a size I want to stay at, I figure it’s time to start making myself some clothes. The added bonus being I’ll need less fabric now that I’m smaller 😉 . To be honest I’m a little scared of this plan as I don’t really have a clue about making clothes that actually fit properly but we all have to start somewhere and thankfully my lovely sewing club buddy Rachel Pinheiro as volunteered to help me, Phew! Thank you so much Rachel for setting me this challenge, I’ve fallen in love with dressmaking and plan on growing my handmade wardrobe through 2015. I have a couple of garments from 2014 still to share with you but thanks to the grey weather here and a case of flu I haven’t managed to photograph them yet. Once the monsters are back to school I’ll get my camera out and share them with you. Self explanatory really. The weight I’ve lost has been 90% diet so it’s time to get toning, if you’re a mum reading this you can imagine the amount of work I’ve got to do on my jelly belly lol. I’m just hoping I can crochet while on a bike at the gym, multitasking at its best right? Another on going mission. Up until our summer holiday I was doing really well but thanks to Christmas over indulgence (stuffs another truffle in mouth) I can feel my muffin tops slowly re-emerging. On a more positive note I have joined a great Yoga class and the hubs is buying some new equipment for our home gym (garage), now all we have to do is use it! Erm, I tried my best, surely I can only continue to improve this year?? Well I don’t think I did too badly over the year do you? I’m not setting myself a list for 2015, although it has been nice to look back and see how much I’ve done. I just don’t feel like 2015 is a list kind of year. 2015 is the year to go with the flow, see what comes my way and go for anything that takes my fancy. On the sewing front I’m already signed up for a few swaps which I really enjoy, I have a dress waiting to be cut out and a mountain of Farmers Wife blocks to catch up on so for now that will keep me busy. There will be crochet, but as yet I don’t know what and I hope to try some new crafts too. Do you have any new crafts or projects planned or any to recommend? Family wise Sean and I have both agree fitness is a high priority for us. I would like to climb a mountain this year but we both need serious training before we do it so as of Monday we’ll be hitting the gym and getting plenty of walks in. The monsters were telling us how much they want to go on more holidays and see new places so I’m sure we will cram as much travel as possible in to 2015 too. Monster no1 has become a little obsessed with Bear Grylls so at every opportunity he wants to go off on an adventure even if it is just going on his scooter to feed the ducks. I hope you all had a brilliant Christmas and New Year and hope that 2015 brings you all the excitement and happiness you deserve! What If We Didn’t Sew? I’ve been thinking lately, what would I do if I didn’t sew? Have you ever wondered? When people find out I sew they tend to give me a bit of a funny look and say in a slightly high pitch voice “oh really?” I know they think it’s a little odd but I just can’t understand why? I love spending my free time creating something new with fabric or yarn so I just can’t work out what they do instead? If you didn’t sew how would you spend your time? Housework? Watching tv? I know what I’d rather be doing! I may live in a house full of boys but a living room floor covered in granny squares is definitely the norm. I wonder if I didn’t sew would we have family dinners at the dining table instead of me taping patterns to it to trace? Since I discovered my sewing obsession I’ve had the chance to meet lots of friendly like minded people, many who have become great friends. How do other people make friends? How different do you think your life would be if you didn’t sew? I was lucky enough to get to test this fab pattern for my IG buddy Leanne Fanny. The Joni has a dress and top version, I tested the top version in a size 14 (to fit my big bangers in). I did have to take the side seams in a little extra but it fit me perfectly across the bust. This is the first pattern Leanne has released, you can find it here, in her Etsy shop. I really like the shape of the neckline on the Joni and love that the back is the same shape. The pattern is great for beginners as there are plenty of photos and comprehensive instructions to follow. The dress version has an elasticated waist which looks cute, but I haven’t had a chance to make it yet. I had fun picking fabric for this top. I had originally planned on using the leftover blue floral print from my Myrtle dress but I didn’t have quite enough. Instead, off I trotted to Fabricland where the classic cars caught my eye. Lucky for me they had a plain lilac polycotton in the same shade as the cars in the print and exactly the same weight. A match made in heaven don’t you think? Before I go I just want to say sorry for the scary stare in these photos, I don’t know what happened? Think I lost the ability to smile. Seriously what was I doing?? Yup, big news in this house ( well for me anyway). I managed to make an item of clothing with sleeves, actual sleeves. “So? A lot of clothes have sleeves, what’s the big deal?” I bet you’re thinking. The thing is I have a bit of a fear of them, they scare me. I know how silly that sounds but when you’re learning there is always something you know you are going to find difficult and your brain just won’t be able to handle it. For me when it comes to sewing I fear sleeves, I just cant understand how you can smoothly fit an arm into a shoulder without it becoming a horrible ruched mess. So far my handmade wardrobe hasn’t required much sleeve sewing, the weather gods have been on my side, but Autumn is officially making its presence known. The weather is starting to get cooler and my arms are getting chilly. I really want to carry on with my handmade wardrobe plans so I faced my fears and made a cardigan. to ease myself in gently I opted for the Coppélia top from Papercut Patterns. It’s a cute little wrap cardi and the best bit is it has raglan sleeves. I know I know I’m a bit of a cheat but a sleeves a sleeve no matter how its constructed! To give myself more of a challenge I chose to make it out of some mouth watering electric blue Lycra. It reminds me of my childhood dance uniforms Woo! I wasn’t sure how well I was going to get on with Lycra but its pretty easy to work with, I’ve come to realise I’m a big knit fabric fan, if its stretchy I love it. I made a size S as per my measurements but really I should have made an XS. As you can see in the photos its a little loose fitting, especially in the front. Luckily the wrap style means I can get away with wearing it without the back looking too baggy. It came together nice and quickly, which is great as I plan on making more, it’s a great wardrobe staple. My glamorous assistant wanted to get some of the attention too. I’m not planning on wearing only raglan sleeves through the winter months so at some point soon expect a blog post about inset sleeves. Wish me luck! I’ve got a new best friend. Her name’s Myrtle. She looks good in every colour and print imaginable and what’s best of all she likes both woven and jersey fabrics!! This is the first Colette pattern I’ve tried and I was really pleased with the results. The Myrtle has two length versions, I started with the short version in a metallic stripe Jersey from Fabric House (of course!). There is also an option to add epaulettes but I decided to make it without. Seriously how awesome is this fabric?! The dress goes together reasonably quickly. I pre-cut and took it to our August Sewing club meeting, I managed all the sewing while I was there except closing up the waistband and hemming. Well actually I did get the waistband done but the stitching was a mess because I was rushing so I redid it when I got home. Next up, a woven version. The garden was really wet this morning, hence the wellies, although I think I can pull it off! Although the pattern is supplied with instructions for making the dress in Jersey you can find instructions for using woven fabrics on the Colette Patterns website. I got some bargain, blue, floral viscose (I think) for something like £2 a metre from a shop in Goldhawk road. It was light and had a nice drape so I figured lets give it a go. I found some ready made bias binding in Fabricland which went perfectly with the fabric for the back of the neckline and armholes. It’s the first time I’ve used binding instead of facings and I love the finish, I’m not really a fan of facings so will try using binding more often. I opted for the longer length and I think it works really well. Next time I make a woven Myrtle I would add a little extra to the seam allowance just to give me room for a nicer finish. The dresses are so easy to wear, the jersey version was great on holiday with both heels and flats. The floral one I’ve worn since we’ve been home with a shawl for a party at a friends house and also dressed it down with a grey, boyfriend fit, cardi and a pair of converse. I really like the fact there are in-seam pockets too. This is a great dress for me as the pattern is easy to follow and the finished dress looks a lot more complex than it actually is to make. I love how easy to wear the Myrtle is while the neckline adds a bit of interest. It’s definitely versatile too, how great would a velvet version look for winter with tights and boots? Or maybe even a maxi length version? I don’t know about you but I like my holiday clothes to be easy to pack and wear, I try my best to travel light and I don’t want to spend my valuable holiday time ironing. This summer Hubby, the Monsters and I spent two weeks relaxing in the Red Sea. While on holiday I wanted to wear as much handmade as possible. As you can imagine Egypt was HOT so I wanted light weight items that would also compliment my other clothes. I could never be described as a fashion forward, I love clothes and fashion but with 2 boys in the house I don’t spend much time in heels. I like my clothes to show my personality but at the same time they need to be comfy and easy to transition from day to night. If I’m being really honest I’m a pretty lazy dresser. After going through my wardrobe I decided I needed a few more dresses and some bikini cover ups. My fabric of choice was definitely Jersey, it just rolls up so tiny for packing and I love to wear it. You can’t go wrong with a playsuit. Quick to slip on over a bikini but can just as easily be dressed up for the evening with heels and jewellery. The pattern was an old Prima pattern I had from a few years ago, it also had a jumpsuit version which I might make too. The fabric I picked up in Goldhawk road from my favourite shop, Fabric House. On the same shopping trip I bought two chiffon prints from the famous “man outside Sainsbury’s” in Walthamstow market. I thought they would be great for simple kimonos. I used this tutorial and added cute crochet trims from Fabricland. As I chose sheer fabrics I opted for french seams. The main reason I added the trim was because I couldn’t decide how to finish the raw edge. I had originally planned to do a rolled hem using my overlocker but I just couldn’t get it to work properly. It was the first time I’d worked with Chiffon and it wasn’t really my friend, the crochet trim definitely saved me! I thought I’d wear these a lot in the day but I ended up wearing them in the evenings with a plain vest and skirt or shorts. I’ve also worn them a lot with jeans since I’ve been home. Dresses were a no brainer, I whipped up two Mission maxis, this time minus the maxi. Both fabrics were from Fabric House, again. My mission maxi pattern was definitely a good investment, so far I’ve used it to make 3 dresses and a vest, it’s so quick to sew up and fits me perfectly. How cute do the monsters look in my holiday snaps?! I’m crazy late in sharing this post with you but to be fair I wanted to wait until my swap partner received their gift from me and I had received mine. As this was an international swap the snail mail took a bit longer. Anyway gifts were all received but then I was frantically sewing holiday clothes and the monsters were off school for the summer so it was a mad house round here. We’re back from our holiday now and only a few more days then it’s back to school too so slowly normality is returning to Casa O’Meara. Finally I have a few minutes to share my swap photos. Incase you haven’t heard of Schnitzel and Boo (what’s wrong with you?!) 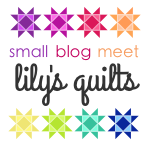 Kerry is super lovely and decided to organised an international, secret mini quilt swap. I made a mini for the very talented Sarah from No Hats in the House. I have to admit I was a little nervous about what to make as her quilts are beautiful and I didn’t want her to be disappointed with her gift. I knew she liked monochrome so I started there. After playing around with a few ideas I settled on this design. Sarah had also shared that she loved international gifts so I included some English fudge and a selection of teas in London themed tins. I also made a little zip pouch with some sewing themed fabric because, well, you can never have enough zip pouches. I was totally relieved when Sarah received her parcel and liked it. I received my gift from Jade (@cr4zycupc4ke on IG) who completely spoilt me! She made me this brilliant mini quilt plus sent me a Hello Kitty overload, how awesome is that?! I really enjoyed the swap and home Kerry organises another soon. In the mean time you can check out all the great mini quilts that were made in the Flickr group here.